Two more paintings from my In Our Veins series have found a new home. These are both acrylic on canvas and 4″ x 6″ depending on the orientation. Tree of Life and Bound were both created this year and featured in my recent holiday newsletter. 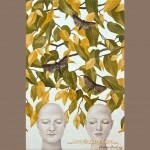 View the paintings as well as more from the series online here: http://amyguidry.com/tree-of-life.html. I have just recently finished a new addition to my In Our Veins series. This painting is titled Crutch and is 12″ wide by 6″ high, acrylic on canvas. You may recall seeing my photos of this painting in progress. To say the water was time-consuming is an understatement. 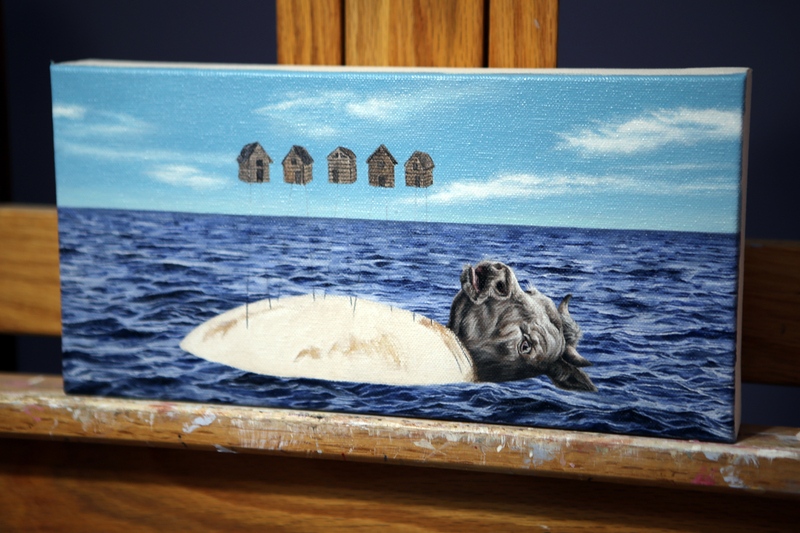 This is one of only a handful of paintings in which I’ve painted water. 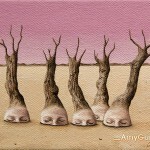 View the painting online (and much larger) here: http://amyguidry.com/crutch.html. 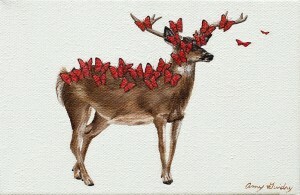 One of my paintings from the In Our Veins series has recently found a new home. Transition is an acrylic on canvas, 6″ wide by 4″ high. It features one of my “trademarks” from the series- butterflies- which represent life in that they are both beautiful, fragile, and here for a short time. 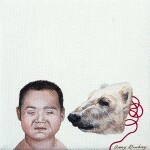 View the painting online here http://amyguidry.com/transition.html as well as the rest of the series. I’ve made some progress on my most recent painting. I finally finished the water (and tested my patience! ), and am currently working on the cow. The finished piece will be featured here soon. 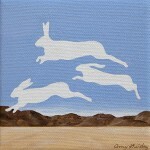 In the meantime, view the series this painting will be a part of here: http://amyguidry.com/wild_west.html. I’ve added several new small paintings to my In Our Veins series. 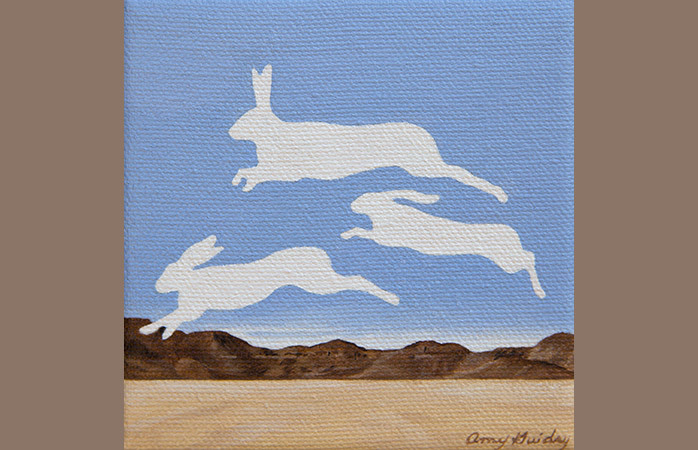 They were recently featured in my holiday edition newsletter (which you can receive here: http://amyguidry.com/contact.html). 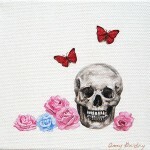 Each painting is 4″ x 4,” acrylic on canvas. Effect is currently on hold but Continuance, Change, and Memento are available. 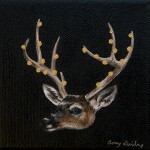 View the complete series online here: http://amyguidry.com/wild_west.html.